Subscribe to our weekly email updates send directly to your inbox and never miss new videos! NO SPAM! We respect your privacy. Please fill out the form below and we'll take care of the rest. We only accept HD videos hosted on YouTube. 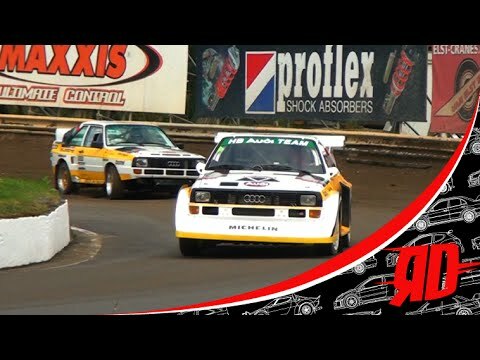 5 Audi Quattro's at the Eurocircuit with amazing 5 cylinder sound. Do you publish rally videos on YouTube? If yes, then you should consider becoming a contributor for WRCHD and get more exposure for your videos! We're social! Follow us on social media to keep up to date with latest videos. WRCHD.com is not an official WRC website nor is it affiliated with other websites. Copyright © 2009–2019 WRCHD.com. All Rights Reserved. Subscribe today and don't miss new videos! NO SPAM! We respect your privacy. SIGN ME UP, I LOVE RALLY!